Combine your love of sports with your love of music and pick up a Kansas City Chiefs NorthEnder Guitar by Woodrow. Officially-licensed by the Nfl, all units feature an individually numbered plate at the base of the solid maple neck to assure you of its authenticity. With several eye-catching graphic elements and a ton of artistic flair, the guitar is embellished with team colors, such as black, white, and yellow on the base of this guitar. 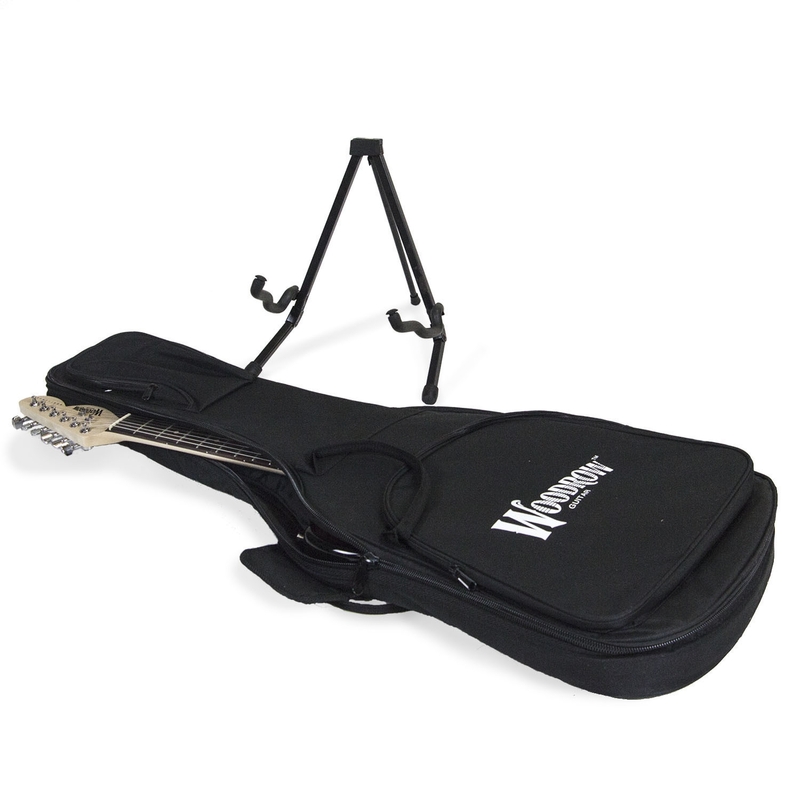 Each Kansas City Chiefs guitar purchase comes with a Woodrow-brand padded gig bag and a guitar stand. The Kansas City Chiefs were the first Afl team to make it to the Super Bowl, and you should be the first of your friends to own this timeless piece of art. 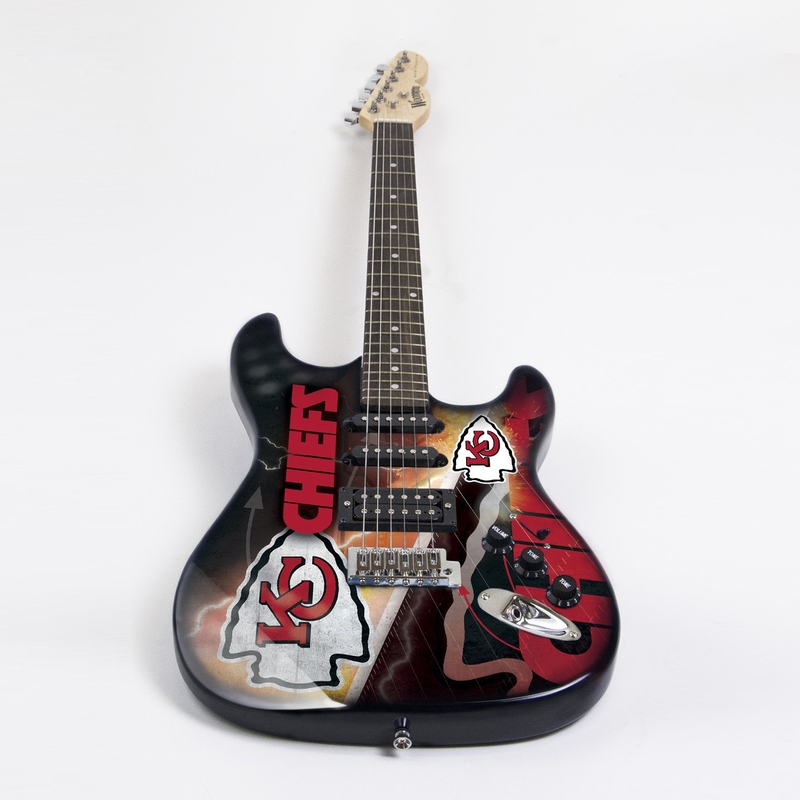 Hit the perfect balance between sports and music by purchasing the Kansas City Chiefs NorthEnder Guitar today!